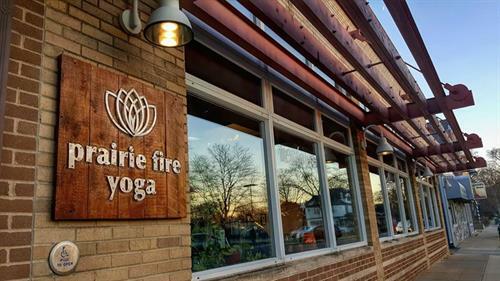 Prairie Fire Yoga is the first hot yoga studio located in Prairie du Sac, WI. We are passionate about living a healthy and happy lifestyle. We offer a variety of yoga and other classes for all levels. We also offer other health and wellness services. New Student Special: 30 days of unlimited yoga classes for $30! Yoga classes: Vinyasa, Power, PFF, Mindful, Yin. Tone/Core Classes with weights. Mike Phillips (Owner) and Lori Anderson (Manager). Prairie Fire Yoga and Wellness. Flow in the Dark Yoga.